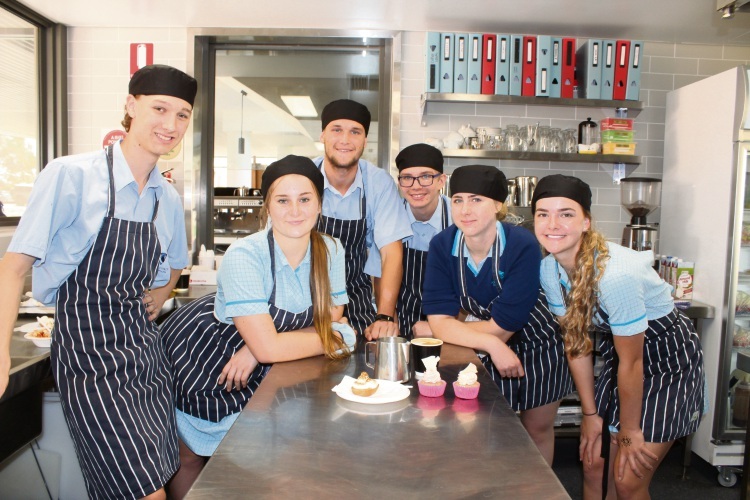 South Coast Baptist College students, L-R: Daniel Francis, Chloe Giles, Harry Bolan, Cornelus Sauer, Tameeka Taylor and Emma Markus make use of the new facilities. A NEW science, technology, engineering, arts and math (STEAM) centre has been officially opened at South Coast Baptist College in Waikiki. WA Senator Linda Reynolds opened the new facility last week. “It was great to visit South Coast Baptist College to see the new facilities and the positive impact they will have on students’ learning potential,” she said. The Federal Government provided $1.2 million through the Capital Grants Program toward the $4.3 million project, which includes two science laboratories, two food technology learning areas, a preparation area, a breakout area, a technical graphics laboratory and an exhibition, project and model cafe area. Senator Reynolds said STEAM subjects were important for students’ job skill sets of the future. She said independent schools in Western Australia would also benefit from increased funding. Money for independent schools in Western Australia is estimated to grow from $511.1 million in 2017 to $547.9 million in 2018, $671.5 million in 2021 and $953.2 million in 2027. It represents an average per student increase of 5.9 per cent each year over the next four years.